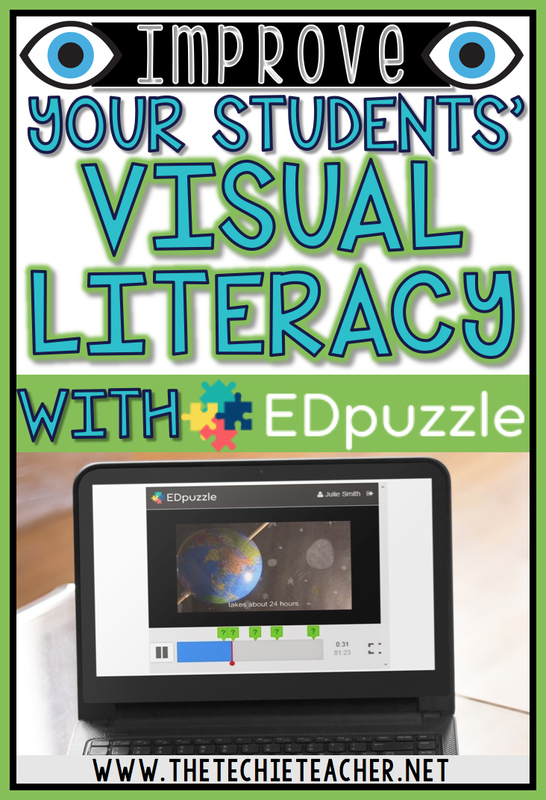 Improve Your Students' Visual Literacy with EdPuzzle | The Techie Teacher® . Visual literacy, the "ability to understand, interpret and evaluate visual messages” (Bristor & Drake, 1994), needs to be an integral part of our instruction in K-12 classrooms. Our society craves visual stimulation and we need to help our students learn how to interact with images, diagrams, videos, animations, etc..
A great technology tool that can help your students with their visual literacy skills is EdPuzzle. "EDpuzzle is an incredibly easy-to-use video platform that helps teachers save time, boost classroom engagement and improve student learning through video lessons. EDpuzzle also collects data as students watch and interact with the video. Best of all, it’s completely free!" • Crop the video, use only what you need for your lesson. • Record your voice on top of it to explain it in your own personal way, add clarifications, a warm introduction, you name it. • Add quizzes along the video and check if your students truly understand the lesson. I LOVE how EdPuzzle will give a student report at the end. You can even download and print a CSV file of your data! Students can login with Edmodo, Google or an EdPuzzle account. If you opt to have them sign up for an Ed Puzzle account, they do not have to provide an email address...just first name, a username and a password! Head on over to Sweet Integration's post to learn even more about EdPuzzle! Do you use EdPuzzle in your classroom?